The new issue of Famitsu Weekly features a six page article that includes an interview from series director Tetsuya Nomura! The article is from everything we saw and learned from the Tokyo Game Show with even more details to how it all came to be. The “World Submerged in Sleep” is said to be connected to dreaming, it can be opened by unlocking the “Keyhole of Sleep” that exists in that world. Instead of Heartless, in this world there exist creatures that devour dreams called Dream Eaters. There are two kinds of Dream Eaters, those that consume dreams and plant nightmares and those that eat only bad dreams. Investigating the Dream Eaters becomes the key guiding to the “Keyhole of Sleep”. Yen Sid says to Sora and Riku, “When you unlock the Keyhole of Sleep and return once more to this place, you’ll be acknowledged as Keyblade Masters.” It is with these words that the adventure takes off. 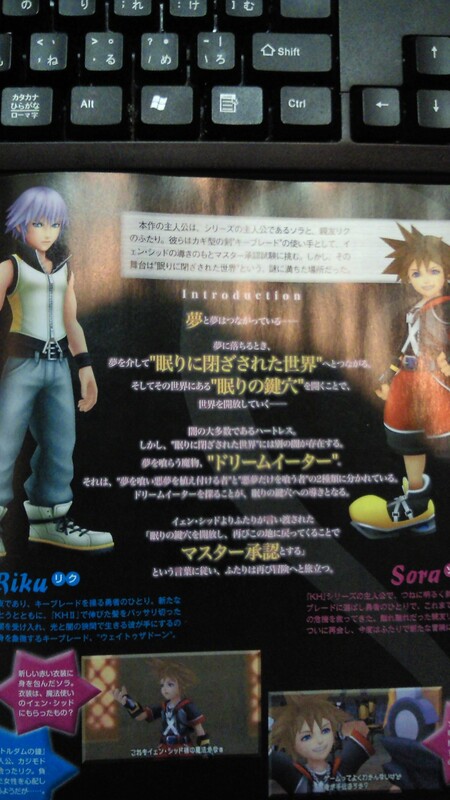 From the trailer, we can confirm that Sora and Riku have new outfits and that Riku’s hair is cut. The Keyblade that Riku uses is “Way to the Dawn”. Two new areas are introduced, “District 4” and “District 5”. In the lit up streets of this place the “Reaper’s Game” is taking place. A 15 year old boy who grew up in Shibuya, Tokyo first introduced in The World Ends With You. He is accompanied by a cat type spirit called “Neko Cat” whose tail is like a music note. He has strayed from his partner and since Neku says that having a partner is necessary in order to win the Game, Sora helps him out, though he doesn’t really understand the Game. There are two types of Dream Eaters, your enemies called “Nightmares” and those that fight alongside you as companions called “Spirits”. It is a furry bat like Spirit. It is the first Spirit that Riku has. Though it’s hard to see what part of it is cat like, it’s a plump animal with a blue back and a white belly. It’s the first Spirit that Sora has. It’s a panda with bear like claws that wears a short cloak and a slightly atrocious glare. This fish flies midair. Overall it’s about as long as Sora? The Nightmare version, it’s slightly more sinister with red eyes and body and it’s black back. 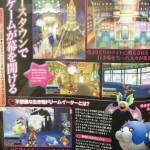 Looking at the screenshots, it seems that Nightmare and Spirit versions of each. When you fill up the pink gauge, you can consume the earned points to do techniques with the Spirits and your companions. They utilize both the buttons and the touch screen. You can utilize both your Dream Eaters at the same time. For instance, Sora can ride atop Wonder Cat and attack while jumping around, and then do a technique where you can manipulate enemies like the Kuma Panda and fling it away. Riku’s interactions with the Dream Eaters are more direct; they instead attack with the Keyblade as one. When you face a wall or pole and press the Y button, various actions occur, during which if you press the A button you can do the strong Free Flow Attack ability. You can also do the high jump and sky slide actions from this. The Kick Dive ability is one the Free Flow Action that lets you kick off a wall, where if you face toward the ground after doing so you can unleash a strong attack. 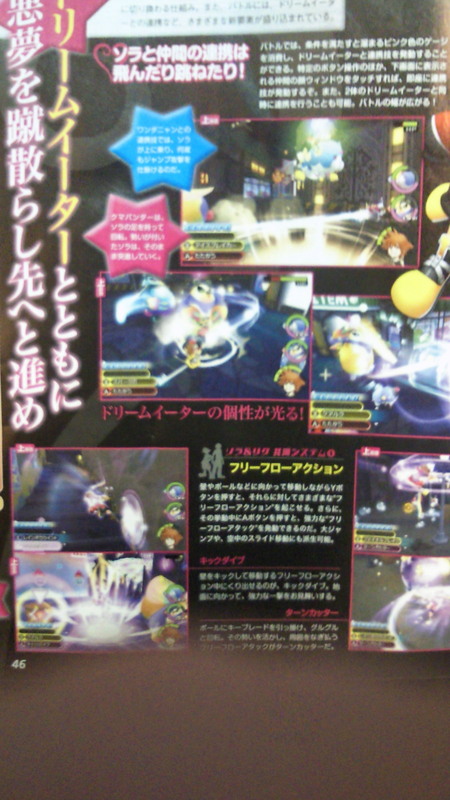 The Turn Cutter ability lets Sora hang off a pole with the Keyblade and spin, mowing down nearby enemies. When a special marker appears over enemies heads during battle and you press the A and X buttons simultaneously you can do this ability. 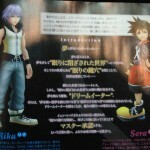 Sora/Riku disappear from the screen, and on the bottom screen special operations can be done. Sora dives under and gathers force up to dive out at the enemies. While you are operating the bottom screen, the battle temporarily pauses. Interview with series director Tetsuya Nomura. Nomura drew the new outfits according to how the Osaka team wished. They’re like their older outfits with minor changes. Riku’s hair grew during the time he was away to show the passage of time, now his hair is cut immediately after that. The “World Submerged in Sleep” is a complex story, but there were worlds other than those that Sora restored in KH1, some that were not submerged in darkness. Like the worlds of the princesses and Dumbo’s, etc. In the end of KH1 it was established that some of those worlds were restored, but not all of them. Those that were neither in light nor in darkness, but those that were submerged in sleep. When a world is awoken from it’s sleep, it will be restored to it’s original form. This title involves taking an exam in order to qualify for the Mark of Mastery, so it’ll also be concerned with events that took place in BBS. Temporarily taking on their KH1 forms, they’ll enter into the worlds of sleep . Additionally, Yen Sid says that in order to become a Master, the self taught way that they use the Keyblade will be reset and that it is necessary they learn how to use the Keyblade appropriately from the beginning. When they request to take the exam, Sora says he doesn’t need it, but since Riku has been overwhelmed by darkness before he doesn’t have the self-confidence. 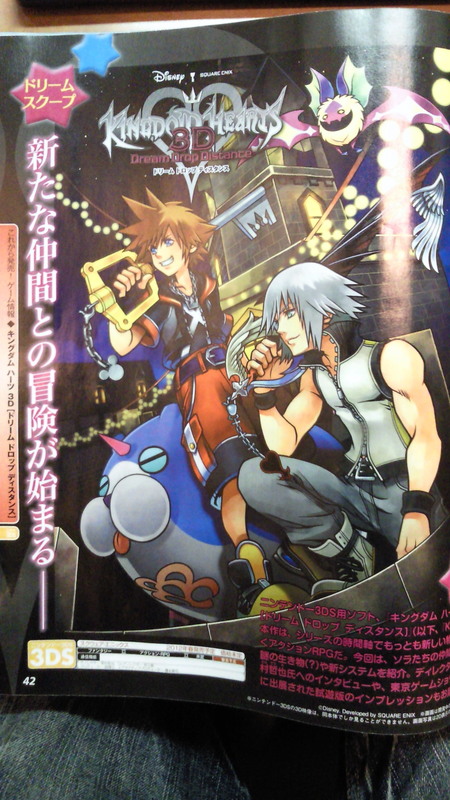 Also, Sora and Riku will be taking it together. The opening of this title will be in Xehanort’s point of view. Additionally, there will be a surprise unlike anything seen before in the last scene. The Dream Eaters do not approach anyone and consume dreams in the World of Sleep where there are no Heartless. 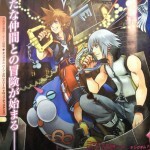 If Sora/Riku don’t use the power of the Dream Eaters, they can’t go to the other worlds. The Dream Eaters were designed not to be traditionally cute, but to have charm that couldn’t be disliked. Wonder Cat was drawn to share that idea. The mark above your own Dream Eaters shows your ownership, it’s also displayed on the map. The boss fights are elaborated in a different direction, where you’ll have to use the map’s characteristics to your advantage. For instance, the floor will break out from under you and the field area will expand. Using the map, you’ll be able to identify your location quickly in that sort of situation. The color scheme is new this time; it’s more pastel unlike what we’ve done before. 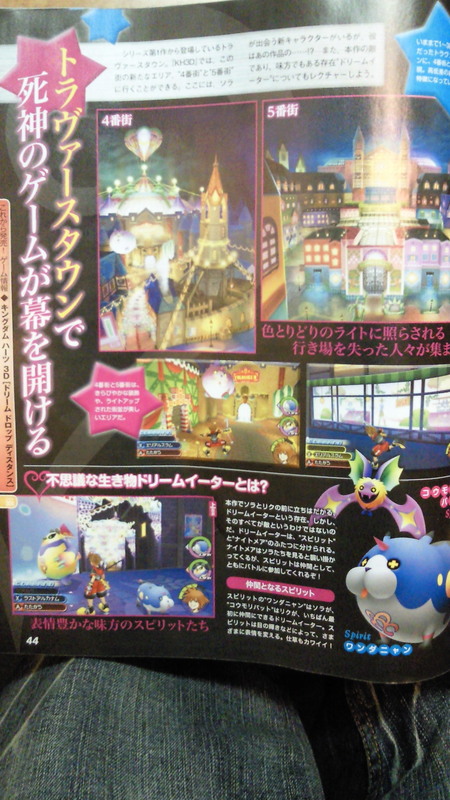 However, you’ll be able to change the colors of your companion Dream Eaters. 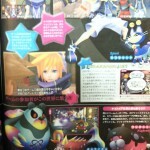 The leveling up of the Dream Eaters is directly related to the growth of Sora and Riku. So far we’ve only seen 2 at a time in battle, but if you give it your all you’ll be able collect all the types. 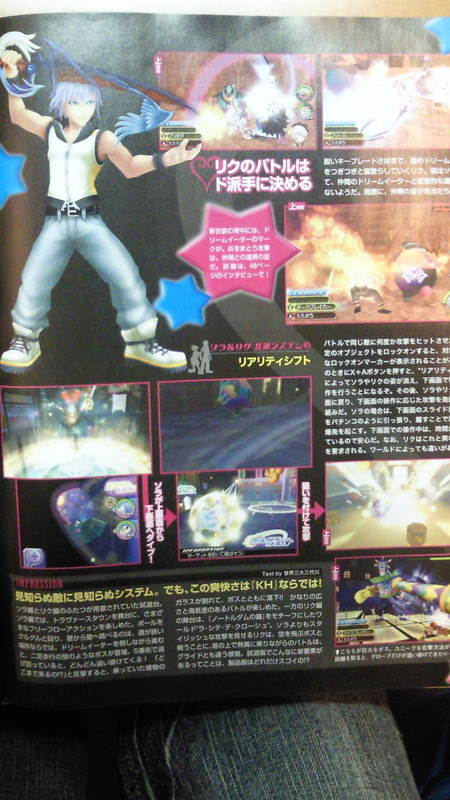 Nomura isn’t quite sure off the top of his head, but there are dozens of Dream Eater types. 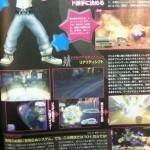 Neku’s appearance in Traverse Town was by special means that have to do with his reason for being there. He’ll show up in District 1, etc. Beginning in Traverse Town as usual you’ll meet your party member, but since I wanted to put in a fresh character, we put in Neku from The World Ends With You. We’ll go into more detail about Shiki and the others in a follow up report. 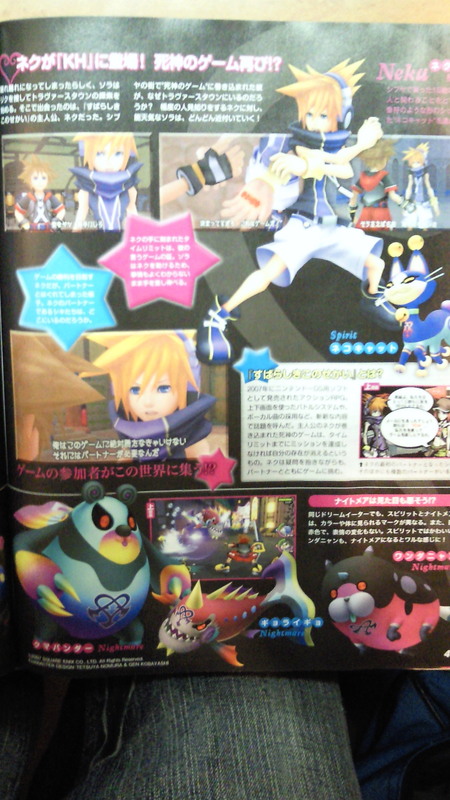 The Reality Shift ability in Traverse Town has Sora sink to the bottom screen where he can aim at the enemies. It’s different in each world, and Riku’s ability is different too. In Riku’s Reality Shift you can touch the bottom screen to connect enemies and objects in a line creating chain that Riku will attack following along on the upper screen. Like shown in the TGS demo, Sora can have two companions at the same time and use them both to do the Dual Link ability where the two Dream Eaters combine into one big Wonder Cat. Filling up the gauge, you’ll be able to use the Reality Shift and Dual Link abilities successively. Since it’s hard to watch even in 2D because the movements are so intense, in 3D your eyes may become tired after playing for a long time. There is depth in the 3D vision, when Sora jumps out of the screen, it’s almost becomes a burden to one’s eyes. I think it’s probably best to use the 3D vision during cutscenes. There will be multiplayer functions, we’ll explain more in a follow up report. 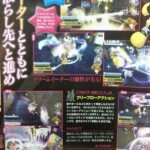 KH3D is set to release Spring 2012 in Japan.